The client, a fast growing alcoholic and soft drinks manufacturer, was using a legacy system to record the movement of goods on which duty was payable, the associated liability for duties, and for generating documentation for submission to the tax authorities. These calculations were all the more complex because the company was manufacturing a full range of alcoholic drinks to which a variety of duty rates applied, added to which, they were supplying many export markets as well as the UK. The problem was that this legacy system was not integrated into SAP, where goods movements are recorded in the first instance, along with associated financial accounting postings. This led to multiple records in separate systems with reports from the SAP system being used to input entries to the legacy duty system. Not only was this inefficient and cumbersome, it was also prone to human error with all the potential consequences of difficulties with the tax authorities. The client turned to Pivot both to recommend and implement the most appropriate solution. The Pivot consultants worked with the client’s team to walk through the process and detail the requirements of a new solution. 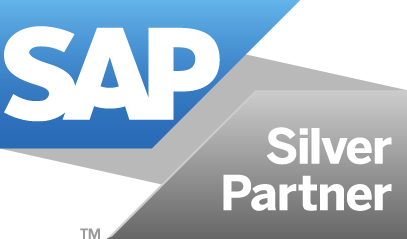 A standard toolkit within SAP was selected as the basis of this new solution but some bespoke development was necessary. This was because of the way goods in the warehouse were valued. Some were valued with duty paid and others duty unpaid. A prototype of the standard solution together with the add-in, was developed and tested using the client’s own data to make it come alive and prove the concept. A detailed design was then generated and implemented by the Pivot consultants together with the client’s own team. In particular, care was taken to ensure the client’s ABAPers were involved in the custom developments. This ensured that they fully owned the solution, could deliver their own post-project enhancements and not be dependent on Pivot for more than the immediate go-live support. I always appreciate the way the Pivot consultants work to develop close working relationships with our business and IT teams and especially their willingness to share skills and train our people.